Joseph Ribkoff Black Geometric Dress - Stylish Little Black Dress! 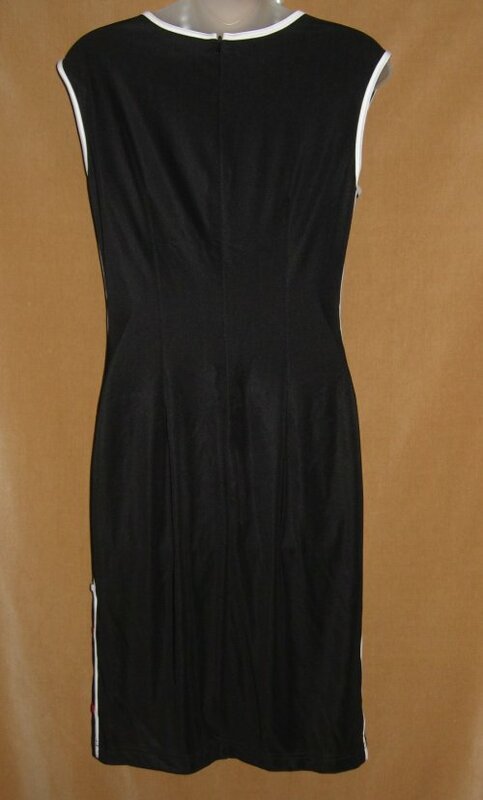 FABULOUS JOSEPH RIBKOFF black geometric little black dress. 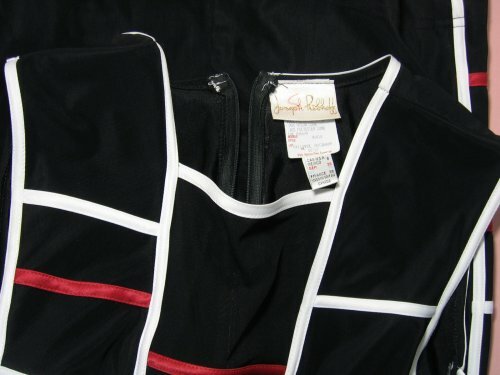 Stylish white and red ribbon on stretchy black material, snug shapely fit. SHEER front top center square panel. Center back zipper and side darts. 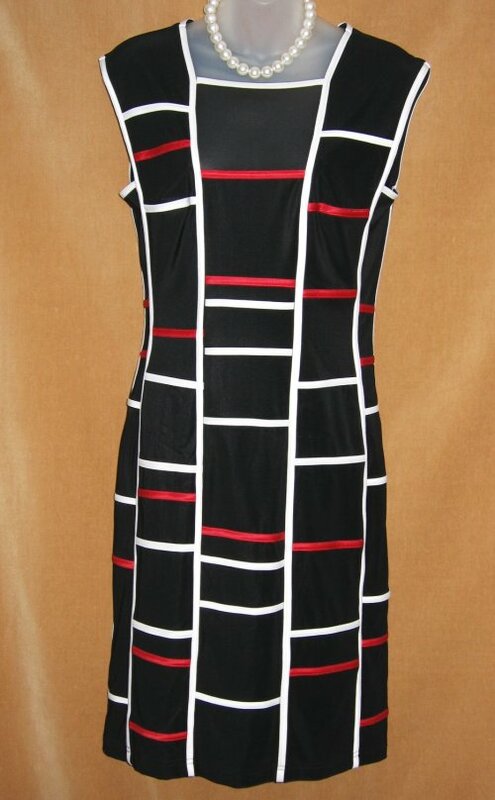 Squares on front and side of dress only, back is all black. Marvelous dress for day or evening wear - carries lots of style and drama! WONDERFUL DRESS by renowned design house Joseph Ribkoff! Size - US 8, GER 36, UK 10 on label. Bust - 36", Waist - 30", Hip 38". Length center back neck to bottom hem - 38".